Sweeping through the 1800s, through the despair of poverty and the glory of hope, through shepherding on a croft, through the atmosphere of Fort Worth and Texas to war-torn France and Europe, from modern Brisbane to heady New York City, In Love’s Time is as ageless as the aborigines’ dreamtime; it takes you from tragedy to the triumph that occurs when fortes fortuna juvat (fortune favors the brave). For Catrine Stewart, it a time of discovery and intrigue. . .
Lilian White will always remember the thrill of riding in a buggy on Australia Day in Brisbane, Australia. Hearing the buggy’s wheels rumbling and crunching dirt, while the wind rushed through Lilian’s hair, led her to the exotic world of romance with its intrigue and its passion and its love. Lilian White has nursed in Australia, and has lectured on writing and has given workshops about her craft in libraries. In 1986, she received a “thank you” from the late Princess Diana. Princess Diana stated that she was “most touched” by the lovely poem and the kind thought in writing to her. Similar to the princesses’ love for people is this tale that sweeps through the very hearts of our families within our society, highlighting the importance of our families. 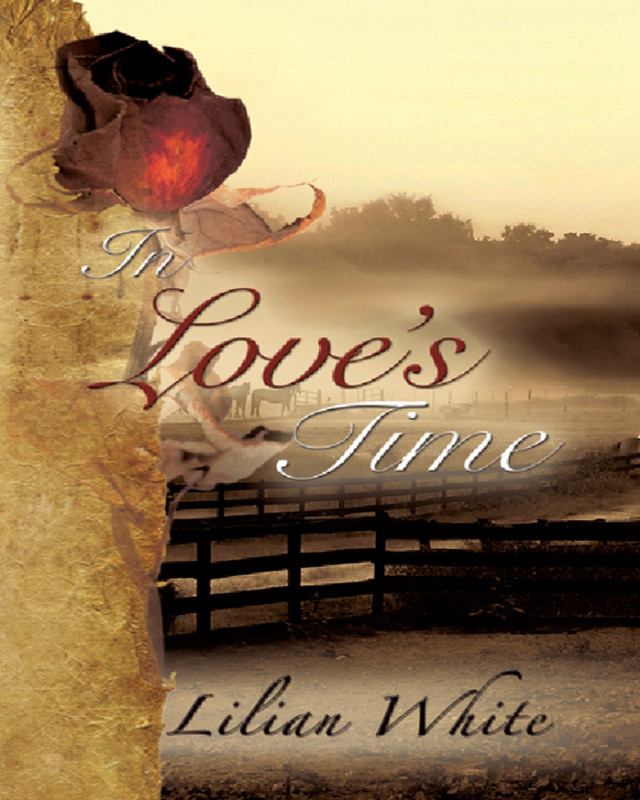 Writing In Love’s Time has been a transcendent experience for her. She feels that this book can help its readers to hold hope deep in their hearts, no matter what problems weight them throughout their lives. Above all, this novel has the capability of changing readers’ viewpoints because of its dynamics, its family focus and universal appeal. Keywords:- Exciting, Dynamic, Stimulating, Romantic, Passionate, Historical, Intoxicating.